It has been almost 10 years since I first stumbled into Berbati’s in Portland to see this young kid that my wife was raving about. And since that night, the name Justin Nozuka has been a staple in the Trembath household. But some where through the mystery of time, I didn’t hear much of his work beyond his critically acclaimed debut album, Holly. But as serendipity would have it, Just Nozuka has returned to my world in a major way. Emerging almost a decade since I last really listened to him, he has created a whole new sound that is absolutely impeccable. Not only some of the best work I have heard from Justin, but some of the best work being released now…by anyone. 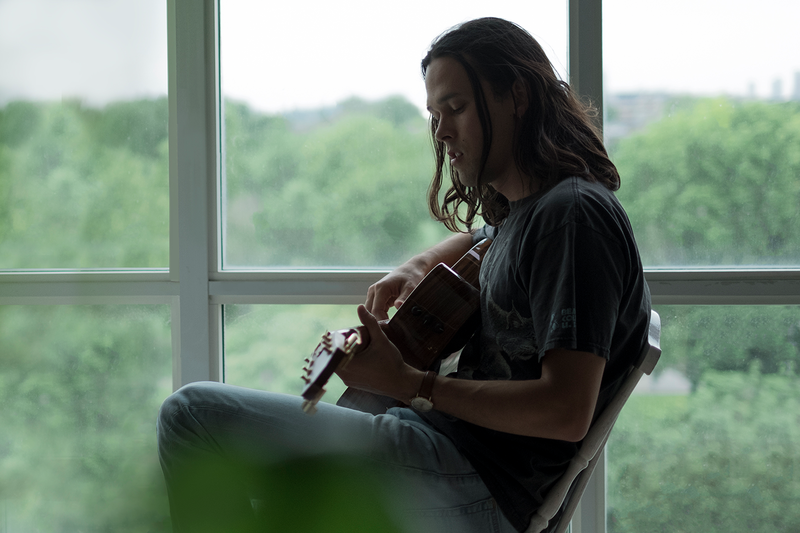 I talked about how much I love his track “Warm Under the Light” and his High Tide and Low Tide E.P.s at length on last week’s New Music Tuesday, so be sure to check that out as well! 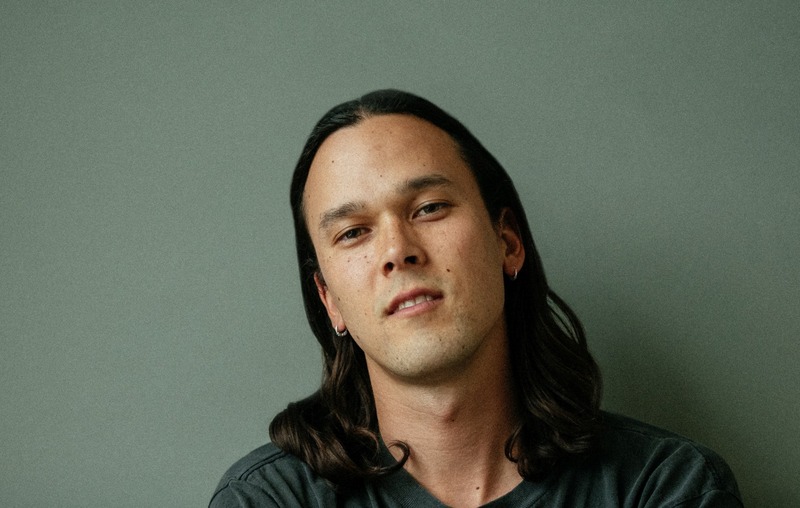 And with that, please enjoy some amazing words from one of today’s most talented singer and songwriter, the brilliant Justin Nozuka! Enjoy! You kicked off your career at a very young age. What was it like throwing yourself into the world of recording and touring at such an early age? And what sort of advantages do you feel you may have gained from doing so? It was a thrill touring out of high school. I’ve gotten to see a lot of different places, and been exposed to so many different cultures- it all contributes to my growth as an artist, I’m super grateful to have had those experiences. Your latest EP’s High Tide & Low Tide are absolutely exceptional journeys in the world of music. I truly can not say enough great things about them. So, coming off your 2014 album that was a bit more experimental, what were you hoping to accomplish with these albums? What did you want the listeners to understand? With the new releases, I wanted to create something a little more traditional. I was listening to a lot of folk music from artists like Simon & Garfunkel, Neil Young, and felt inspired to create something that had a similar sensibility. Somewhat more straight forward I suppose- and I also wanted to induce an uplifting, comforting, warm experience for the listener, and myself. I previously mentioned in a review for Low Tide that I first saw you perform live 10 years ago. Obviously time makes us all grow as humans, but what do you believe is different about yourself as an artist than you were around the time I saw you in Portland in the summer of ’08? What has been the most important lesson you have learned? I’m a lot more careful about what goes into the album, while at the same time I still go with the flow. I have become more careful about not over doing my vocal licks and straining my voice. I take more care with writing lyrics as well. I think like any growing human, my sensibilities are becoming more refined and I know more what I like and don’t like. I understand you are hitting the road over here in the UK and Europe with a pretty rigorous touring schedule. I am curious as to how receptive audiences over here are to artists from the states and Canada. Have you managed to find a sort of cult following in any particular region on this side of the pond? We’ve had a lot of support in the Netherlands. I’ve been to Western Europe quite a lot over the years and we’ve had bigger audiences and more intimate ones. For the most part it’s been a really positive experience touring there. We’ll be playing some new territories we’ve never been before which is exciting and a bit scary. All in all, I’m really excited to get back there. When you are on long stretches of touring, what do you do to really savor the experience? Do you have any traditions or things you like to do while you’re on the road? Surrender. The tour has a schedule and I just enjoy surrendering to it. Some of the sights (landscapes) are insane… you just feel lucky to get to experience that. Another must for me is vocal rest- I don’t speak much to keep the vocals feeling fresh. I’m feeling really inspired at the moment. I’ll be releasing more music in a few months. I hope to tour for the rest of the year and into next year and in the meanwhile write and start working on another album. Balam Garcia (our guitarist) is a laughing and smiling man, it’s contagious! Thank you for sharing and interviewing him’! I truly love Justin as a artist and I’m so excited that he is touring and making new music! I just saw him in Atlanta and it was a electric show!